WRAP members host UN experts on Housing and Poverty!! Hi, just a reminder that you're receiving this email because you have expressed an interest in Western Regional Advocacy Project. Don't forget to add wrap@wraphome.org to your address book so we'll be sure to land in your inbox! 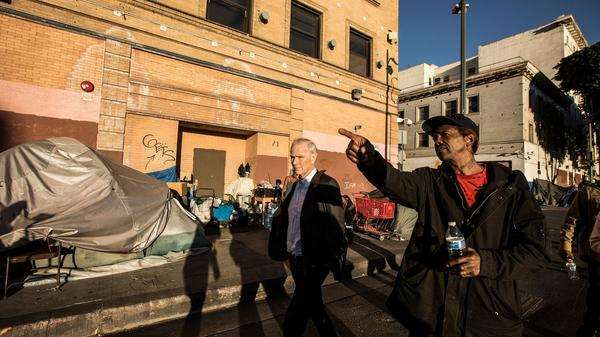 In January, the UN Special Rapporteur on Adequate Housing visited the Bay Area to investigate "informal settlements" in San Francisco, Oakland & Berkley to see firsthand the conditions and listen the stories of the people living in extreme poverty. WRAP brought the Rapporteur and many member and ally groups together in our red brick building for conversation. The UN Special Rapporteur on Extreme Poverty and Human Rights visited San Francisco and Los Angeles in December and WRAP member groups were there as well to make sure they heard about the systemic violence against our communities as well as the movements we are building to say "no" to this violence. 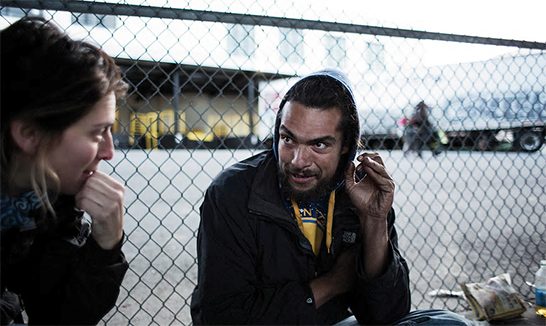 WRAP's powerful artwork, research, street outreach and documentation enhanced the testimonies. That visit, and the testimony given by WRAP groups, resulted in some important reporting and coverage that is rarely discussed in the US media, including these two excellent Guardian articles. Unfortunately, the Rapporteurs cannot visit every region of the United States, and WRAP's connections through outreach and organizing helped to bring a voice to those areas not visited on this tour. Thanks to all the WRAP member groups and allies who made this happen. Read more investigative, enlightening coverage below from the Rapporteur on Adequate Housing visit this month. UN expert decries homeless conditions in Bay Area as "cruel," "unacceptable"
Leilani Farha, a special rapporteur on Adequate Housing for the United Nations (special rapporteurs are independent experts appointed by the UN's Human Rights Council to do fact-finding missions), made an unofficial visit the Bay Area last week and gave a grim assessment of local conditions for the homeless. 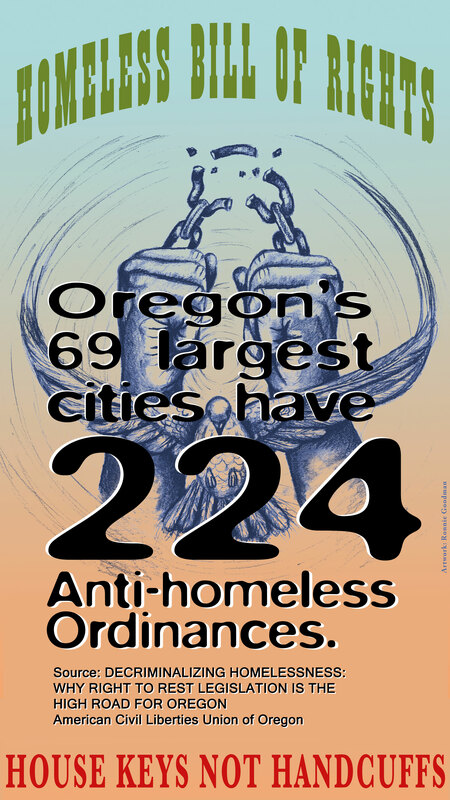 Farha describes the "cruelty" of chronic homelessness in Oakland and San Francisco. 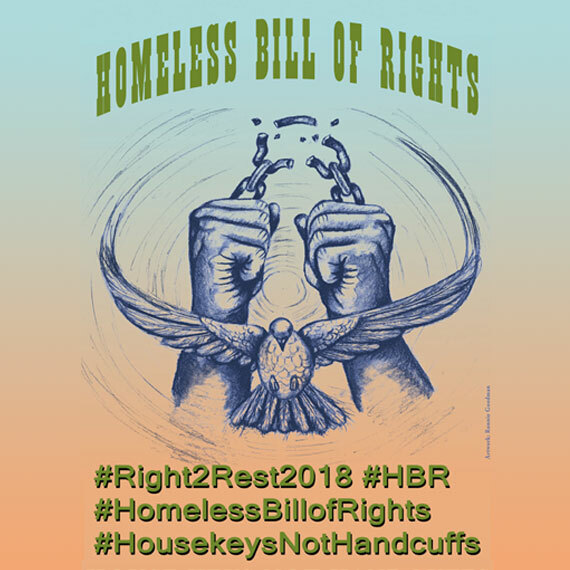 Homelessness is an egregious violation of human rights (...) requiring urgent and immediate human rights responses. (...) Homelessness is caused by states' failure to respond both to individual circumstances and to a range of structural causes: abandoning the responsibility for social protection, implementing laws and policies that discriminate against homeless people, (and) failing to adequately regulate real estate markets. "Did you know you have a right to housing?" she asked, referring to article 25 of the Universal Declaration of Human Rights. How would he react if the government offered him somewhere to live with no strings attached? "That'd probably be something I'd hop, skip and jump to," Hoch said. "That's something your government is supposed to do," Farha said. "I hate to tell you, you're being ripped off." 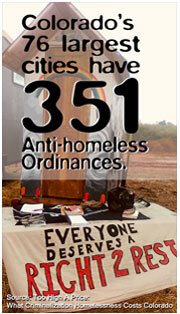 Homelessness is on the rise in the US for the first time since the great recession. 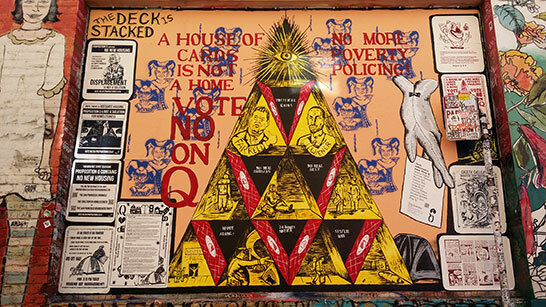 In San Francisco, about 7,500 homeless people were counted last year, more than two-thirds suffering from health conditions including brain injuries and HIV/Aids. It would be easy to dismiss such extreme poverty as a product of human frailty. 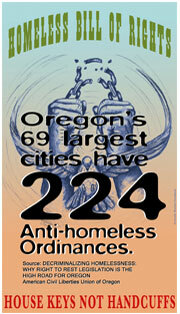 Ben Carson, secretary of housing and urban development, has described poverty as a "state of mind". Farha takes a contrary view. "If I turned to San Francisco and there were 100 people who were homeless, I might say, Hmm, this is probably about psychological disability, drug dependence, a history of sexual abuse in their childhood' or something like that. I might be able to say that it is very individualized. U.N. monitor on extreme poverty tours skid row in L.A.
Alston's street ambassador for the tour was General Dogon, a skid row organizer with (WRAP core member) the Los Angeles Community Action Network, which hosted the town hall. Dogon was highly critical of the city's approach to homelessness as he led Alston on a walking tour. He said the street cleanings were designed to harass homeless people, accused police of confiscating their belongings and said skid row enforcement was aimed at driving the poor out of downtown. But there's no place for people to go, said Dogon, who recommended the police budget be diverted to building low-cost housing on city-owned lots. Alston acknowledged Dogon's street-level view was very different from what he heard in the halls of power. "Politicians in any context are there to put a positive spin on what they're doing and to insist that existing problems are about to be resolved, he said. That's all to be expected." 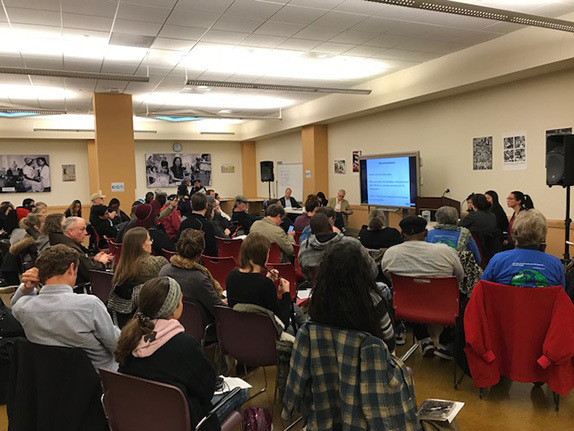 A United Nations human rights expert met with San Francisco homeless rights advocates and service providers on Wednesday to investigate whether the U.S. government is upholding its obligations to eradicate poverty under international human rights law. "I have (to try to) make the argument that a system that purports to respect civil and political rights, but does not provide any economic and social underpinnings - no rights to basic social protection - is not actually a system that is really protecting civil and political rights," U.N. Special Rapporteur on Extreme Poverty and Human Rights Philip Alston said. 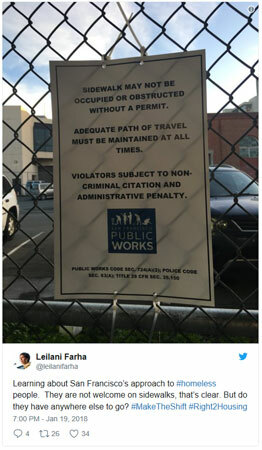 In one of the most recent forced relocations of encamped residents of San Francisco, the City has swept an encampment on San Bruno Avenue and Division Street hours after a U.N. official visited the residents, Street Sheet has learned. The sweeps happened twice on the morning of December 7, around 3:30 a.m., then again at 8 a.m. The day before, a U.N. Special Rapporteurs delegation spoke to some people living there as part of an investigation on poverty. 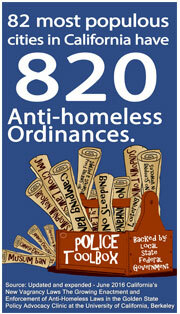 According to the Coalition on Homelessness, which publishes Street Sheet, police and public works crews ordered residents to leave the following morning. Those sweeps were sudden and unannounced, residents said. 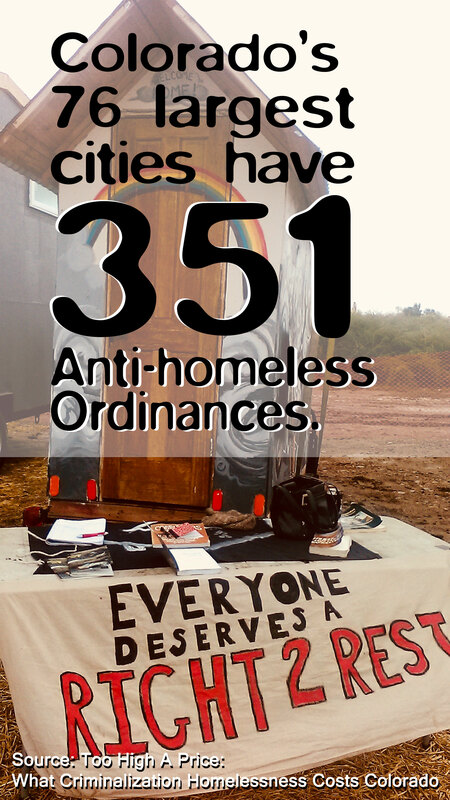 The procedure for clearing encampments includes prior notice and an offer of services, but recent history suggests that the City doesn't always follows its own rules. The residents - all of whom declined to give their names - reported that neither of those things happened. Thank you for supporting WRAP during our Matching Gift in November and December. We made our match - hooray - thank you! 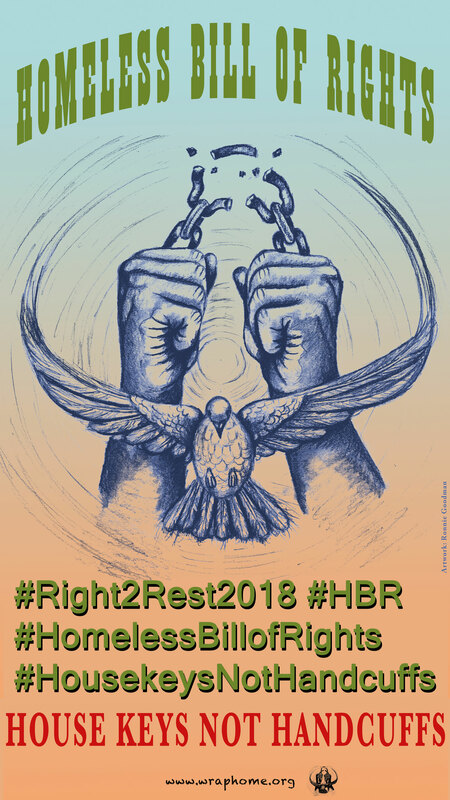 We can't do all the vital, human rights work we do without you, our community. We are really moved - and our love and gratitude goes out to all of you!